iCongratulations on iBuying your new iDevice, which iIncorporates the latest iCloud-enabled technology. To activate your iCloud-enabled iServices, connect the iDevice to your PC with the supplied iCable (with its special iConnector) and follow iInstructions on your PC screen. 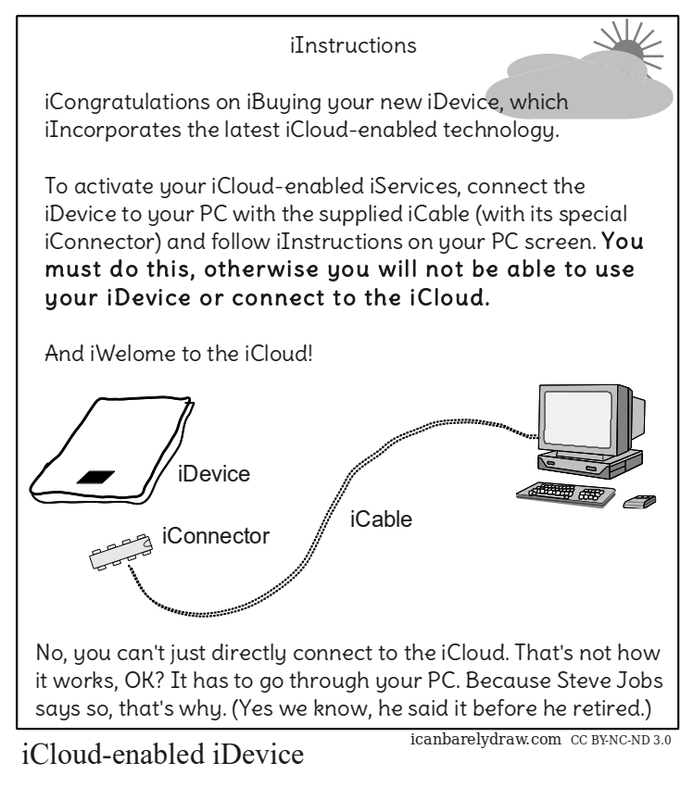 You must do this, otherwise you will not be able to use your iDevice or connect to the iCloud. And iWelome to the iCloud! Cool — I didn’t know Apple made iSPARCstations!